Latest expansion to Workplace platform offers real-time communications offering. 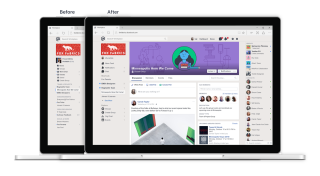 Facebook has expanded its Workplace enterprise suite with the launch of a real-time comms offering called Workplace Chat. Even though it is called Workplace Chat, it offers much more than just text-based communication. It also offers video chat with a co-worker or a group, screen sharing and file sharing. It also includes features like message reactions, @mentions, and gifs that “keep the conversation fun but focused”, and may soon also offer group video chat. It has been a year since Facebook first introduced Workplace and it released a few numbers on the success of the platform. At the moment, 30,000 organisations are using Workplace worldwide. Facebook says this is more than double the number of organisations on the platform in April. More than a million groups have been created. including Walmart, Heineken, Spotify, Lyft, and Reliance Group are just some of its users. “As a brewer, we’ve been a company built on true human connections since we were founded in 1864. Today, using Workplace we’re able to give our employees across the globe a space to learn, share and co-create and, as always, to build connections,” said John-Paul Schuirink, director global communication at Heineken. “Workplace gives us a place to work together. With operations across more than 150 cities in 12 countries, we’re able to use Workplace to collaborate and build culture across our global offices, onboard new people and bring our company closer together,” commented Mike Hudack, CTO at Deliveroo.